Non-iron 2-ply Cotton Pinpoint. For Best Results, Machine Wash Warm Like Colors, Tumble Dry.. Windsor Spread Collar, Edge Topstitched. Two-button Adjustable Mitered Cuffs, Edge Topstitched. Break Resistant Buttons. Trim Cut On Bias Inside Neckband, Inside Cuffs, Button Side Front Placket. Regular, Big and Tall. 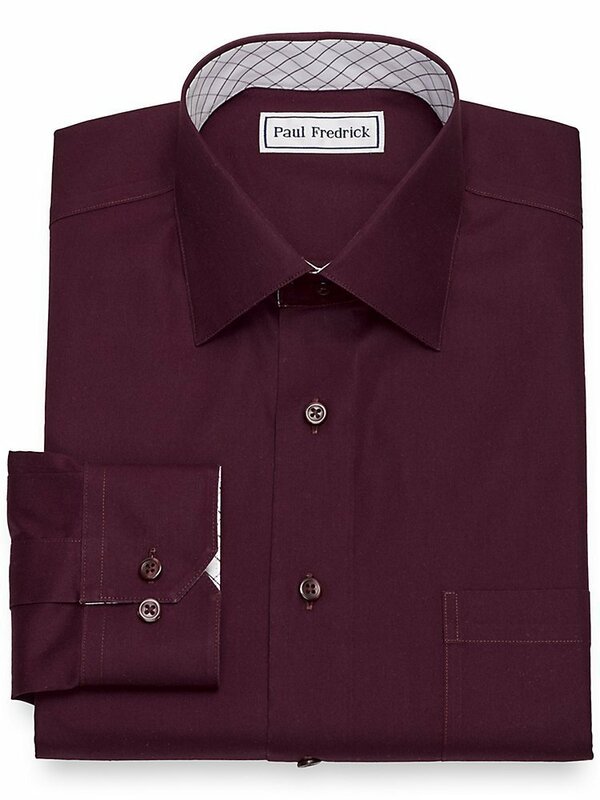 Double Press Turnback Placket. 4 Wide Yoke. Single Front Mitered Pocket. Imported.